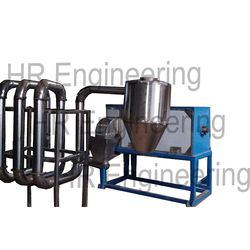 We are a leading Manufacturer of plastic drying line machine from Ahmedabad, India. We are engaged in offering our clients with a high quality range of Plastic Drying Line Machine. This machine is precisely manufactured under the supervision of our skilled professionals at par with international quality standards using excellent quality components. The offered machine is used for drying plastic bottles. Further, this machine is also tested on several quality parameters to make sure its excellent performance.